2) The payment was processed by Stripe or Authnet or Paypal. Upon successful cancellation, DAP will set the ‘Payment Status’ field of the cancelled transaction to ‘Admin Cancelled’. 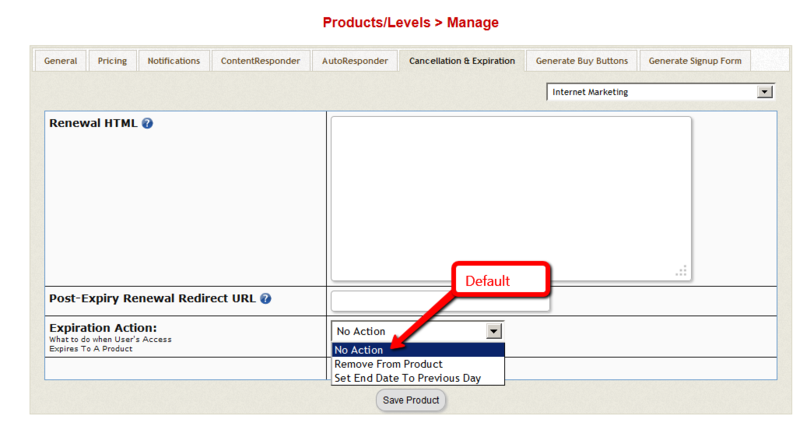 DAP will automatically apply the cancel action defined in DAP Products Page -> Cancellation & Expiration tab for the product. DAP Admins will no longer have to login to Paypal to refund a user’s transaction. 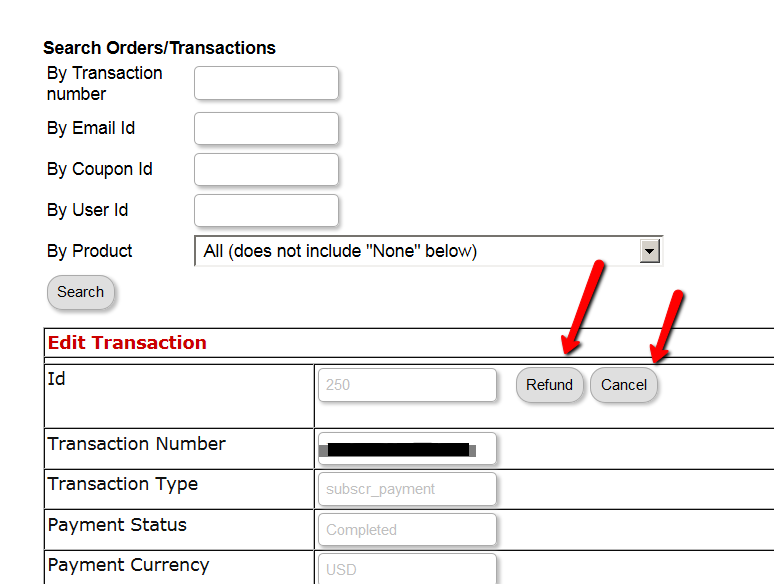 You can cancel/refund from DAP Admin -> Payment -> Orders page. Login to Paypal to retrieve your Paypal API credentials. You need to do this step even if you have a Paypal Standard account. Navigate to the Profile page in your Paypal account => Go to My Selling Tools > API Access => Select Request API signature and click Agree and Submit to generate a set of Signature credentials. If you have already done this, just make a note of your API username, password and signature. Enter your Paypal API credentials in DAP Admin => Setup => Config page => Payment Processing: Paypal ( Step 7 through 10 ). Visit DAP Admin => Users =>Manage page. Find the user account (the one you want to cancel) and Click on the transaction Id hyperlink. It will bring you to the Edit Transaction page. 1. Paypal sends two types of transaction notification for every new subscription – subscr_signup and subscr_payment. Ignore the order where the transaction type is “subscr_signup”. If you are cancelling or refunding a Paypal subscription from the DAP Admin Dashboard => Payments => Orders page, look for one where the “transaction type” is set to “subscr_payment” and cancel/refund that. 2. If a payment transaction is from Paypal, then when you click on the refund button, DAP will not only refund the transaction within DAP but also refund payment in Paypal. 3. DAP will refund both one-off product as well as subscription product purchases from Paypal. How long does it take for the refund to go through in paypal? I refunded it in DAP, and it shows the order canceled/refunded, but nothing was taken out of my paypal account.